Moses in the Pesach Haggadah? 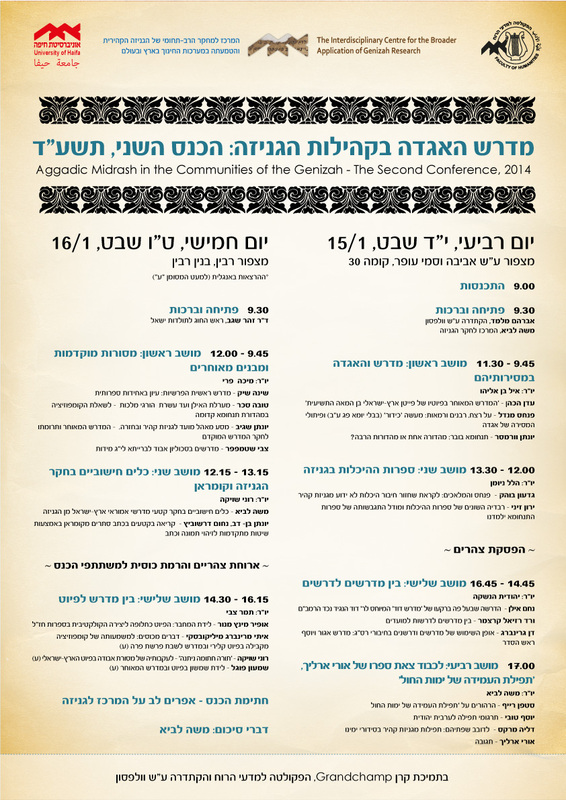 One of the most peculiar traits of the traditional Pesach Haggadah is the absence of Moses. 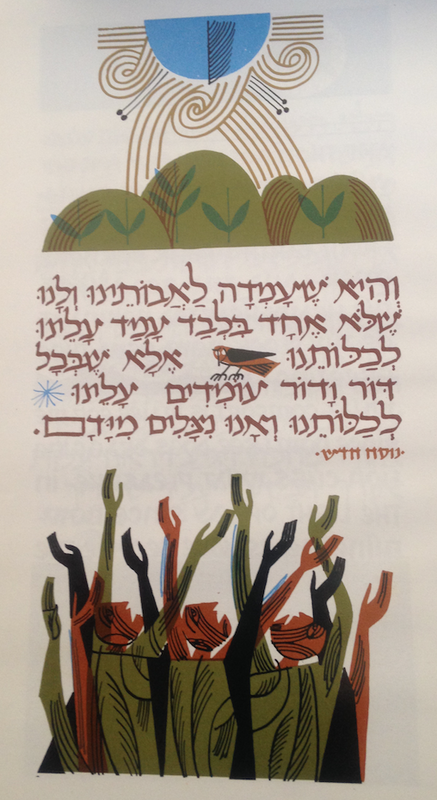 Interestingly enough, in some modern versions of the Haggadah Moses’ role is restored, as for example in the Peasach Haggadah of the Kibbutz Ha’artzi, the association of Kibbutzim that belong to the Hashomer Hatzair youth movement. Here the people of Israel are not saved by God, rather they are simply saved (ואנו נצלים מידם, in the Hebrew passive mode). The image may hint that they are praying to the sun. 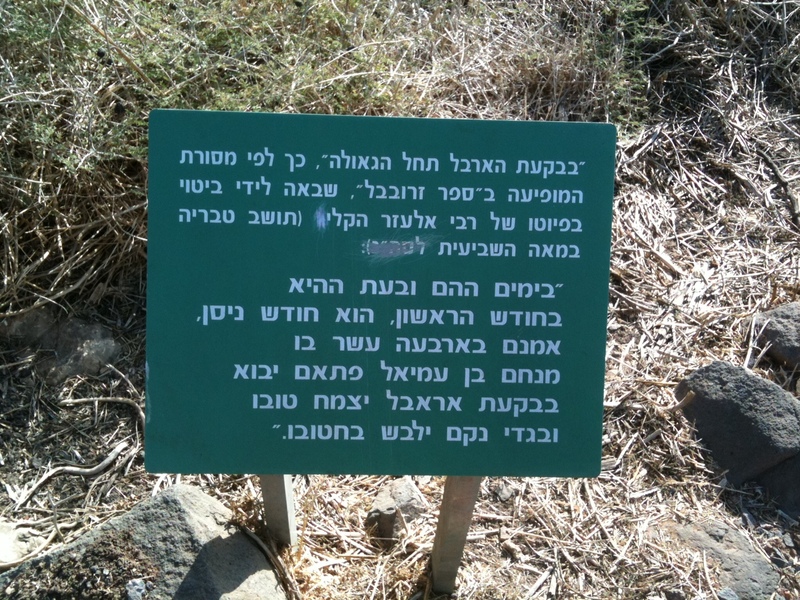 At any rate, the editors were kind enough to note that this is a נוסח חדש (a new version) of the text. Whoever does not drink his wine upon the rose-bed that man will surely bear his guilt. Why did the editors include this work by Ibn Ezra? 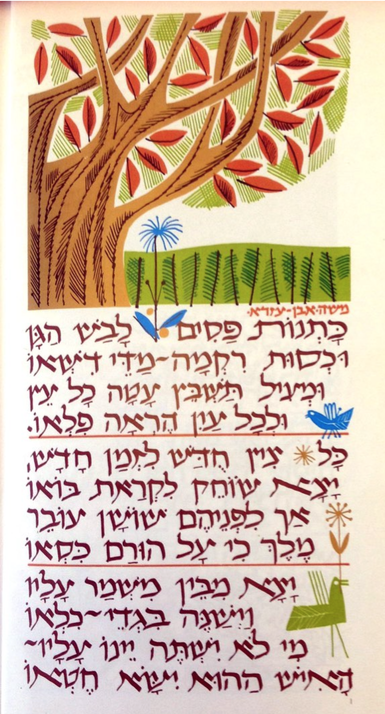 Truly, it is a beautiful poem that describes the blooming of the spring (a very important motif for the culture of the Kibbutzim), and it also calls for the drinking of wine. But there seems to be another more subtle allusion, namely, to the story Joseph. The closest reference to Joseph is the mention of the chequered tunic, like the one Joseph had, as mentioned in Genesis 37:3 (although Tamar also wore one after she was raped by her brother Amnon as told in 2 Samuel 13:18). Of course in the poem, the coat of many colors is ostensibly a metaphor for the colorful garden. Yet, the allusive use of the specific biblical phrase כתנת פסים is still quite striking. What is more, later on the blooming of the rose metaphorically describes a king restored to his throne after he cast aside his prison cloth, again resembling the story of Joseph in Egypt. Moreover, there is another possible connection to Pesach in the poem. Ibn-Ezra concludes his poem with a biblical quotation from Numbers 9:13 ״חטאו ישא האיש ההוא״ (that man shall bear his sin), a verse that deals with a person who did not offer the pascal sacrifice and therefore is condemned to death. The allusion to that verse in the poem is certainly humorous because the sin of not drinking wine is not really a sin and in reality the biblical context is not entirely necessary in order to understand the poem, yet the accumulation of possible references to Egypt and the Exodus narrative is quite striking. It is no wonder then that Aharon Mirksy, the scholar of medieval Hebrew poetry, suggested in one place that this is the correct reading of the poem, although the accuracy of his reading is disputable. 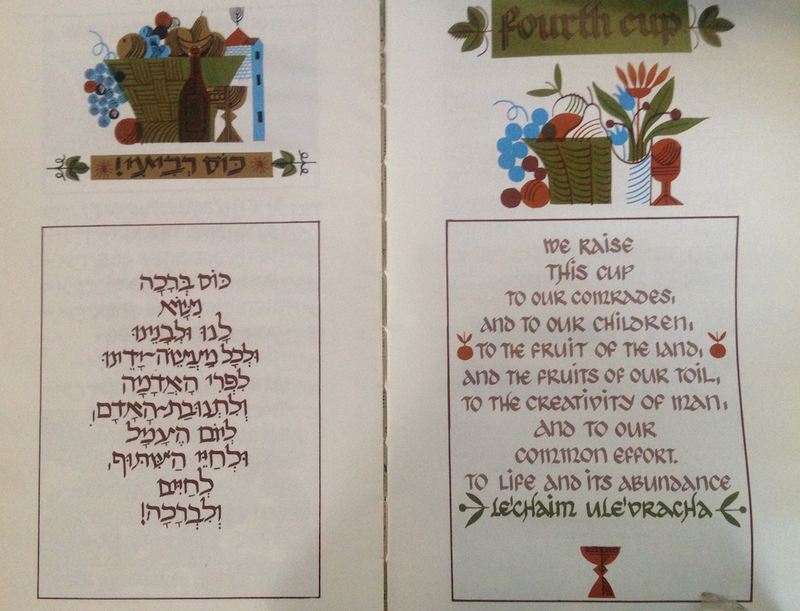 At any rate, according to this interpretation, the choice of the poem by the editors of the Haggadah would make sense because in that way the poem would be referring to the spring, to the drinking of wine, to the Pesach sacrifice and also to a major biblical figure associated with the narrative of exile and redemption from Egypt. 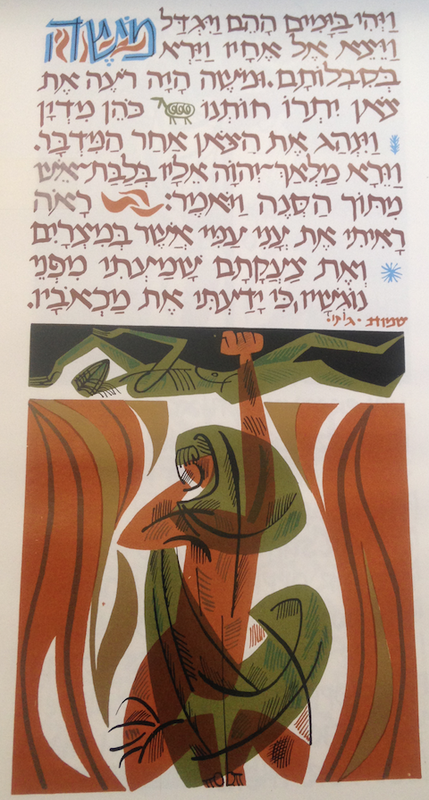 Finally, another remark concerning the beautiful artwork of the Kibbutz Ha’artzi Haggadah. 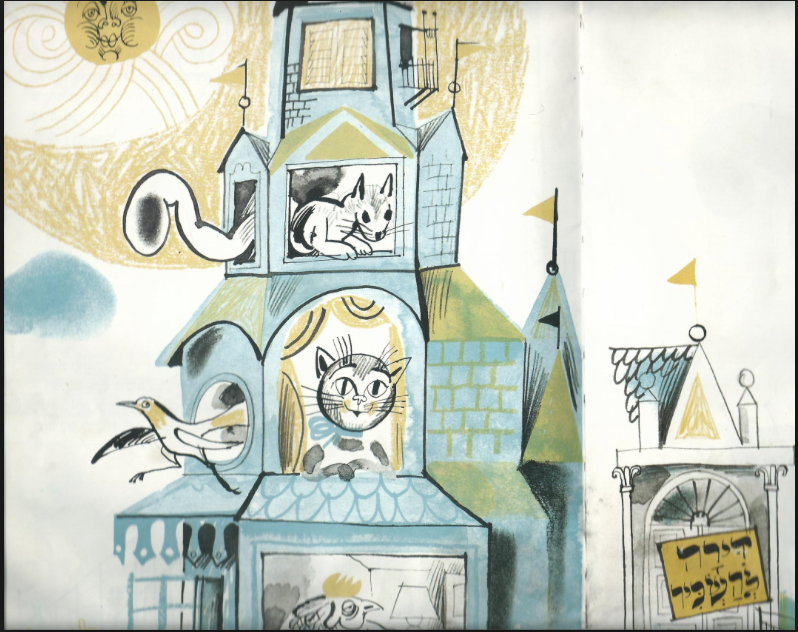 Those familiar with Israeli children’s literature might recognize the distinctive style of the artist. It is none other than Shmuel Katz, who drew the classic דירה להשכיר (An Apartment for Rent) by Leah Goldberg. Chag sameach to all our readers, and le’chaim! 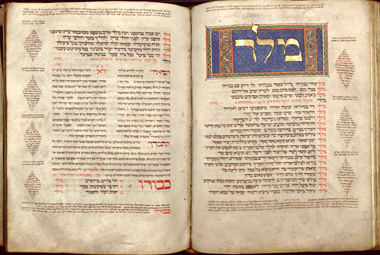 The Nuremberg Mahzor is a fourteenth century prayer-book according to the eastern Ashkenazi rite. The illuminated manuscript contains not only breathtaking artwork but also important payytanic texts, some of them unattested anywhere else in medieval manuscripts. Among these piyyutim is an unusual qina for the Ninth of Av that relates an imaginative dialogue between the Crusaders and the Jewish people. The awkwardness of this call had led Haim Hillel Ben-Sasson many years ago to explain that “the impact of the crusader climate opinion was so widespread that during one of the crusades the writer of a lament wrote as though crusader excitatoria (propaganda letters) were addressing the Jews” (A History of the Jewish People, p. 416). More recently, Elisabeth Hollender discussed the qina and wrote: “it is startling to see that here even the liturgical space, the communication with God, is not free from the fear of Christian attractivity… Israel cannot accept this offer, and it is exactly this refusal that shows the Jewish devotion to their religion, their God, as can be seen in the next passage of the qina”. Indeed the qina continues with harsh criticism of Christianity but also with a bitter sense of desperation from the absence of God and the past leaders of Israel. This intriguing qina (and other qinot from the Nuremberg Mahzor) is discussed in Hollender’s article that was published recently in Giving a Diamond – Essays in Honor of Jospeh Yahalom on the Occasion of His Seventieth Birthday. The volume (edited by Wout Van Bekkum and Naoya Katsumata ) was published by Brill and features fifteen essays that deal with various aspects of Hebrew verse and prose compositions from Late Antiquity and the Middle Ages.